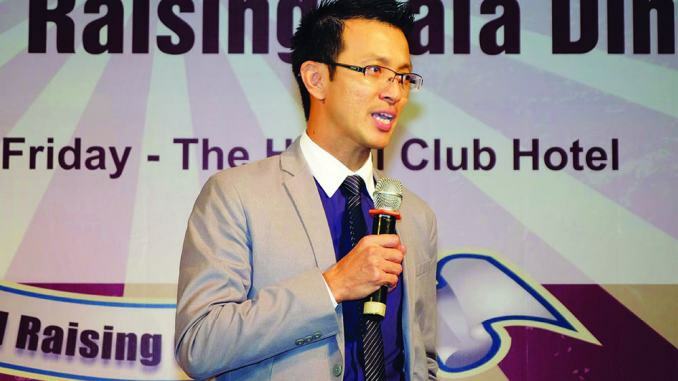 An Interview with Mr Michael Ong, Founder of Social Enterprise - Tea Talk & CoRE. Michael Ong – a Singaporean with a down-to-earth demeanor has devoted his life helping the youth and the underprivileged in Vietnam for the past 14 years. 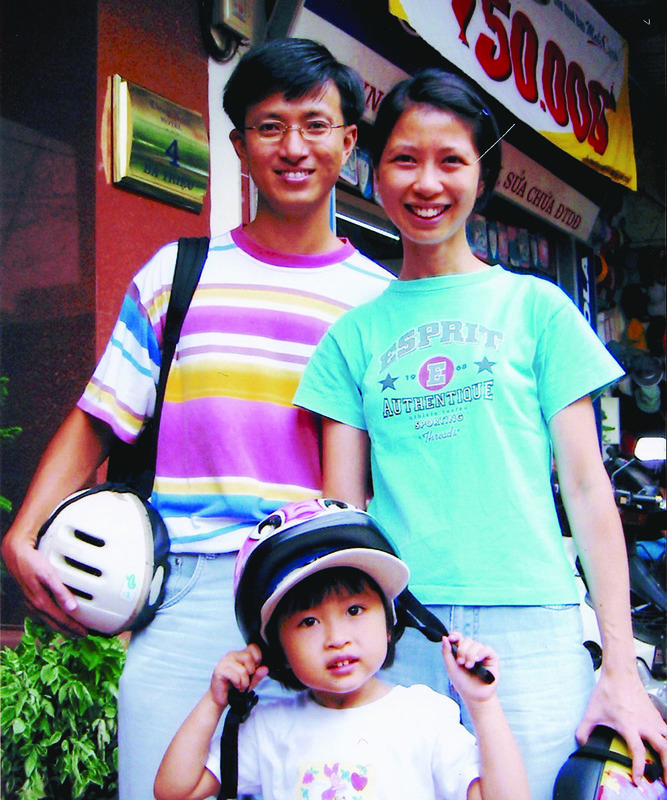 An alumni of the National University of Singapore, he first came to Hanoi in 2001 to help build a Social Work curriculum at the University of Labor and Social Affairs. His excellent social work experiences garnered him a full scholarship from the McDonnell International Scholars Academy in 2008 which he pursued his Masters of Social Work degree at the George Warren Brown School of Social Work in Washington University. The idea of setting up a Tea Talk Café came about during a social entrepreneurship class which Michael attended while in Washington University. It took Michael some years to make his Tea Talk Café a reality. 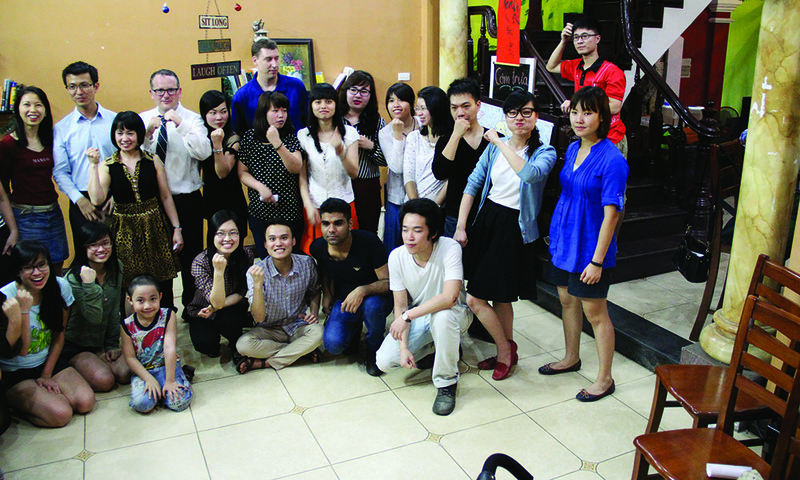 Tea Talk Café in Hanoi is a social enterprise that creates employment opportunities for young social workers; as well as a cosy venue where customers can express their soul with the staff over cups of coffee, and eventually nurture a genuine friendship and a home where Vietnamese can turn to. 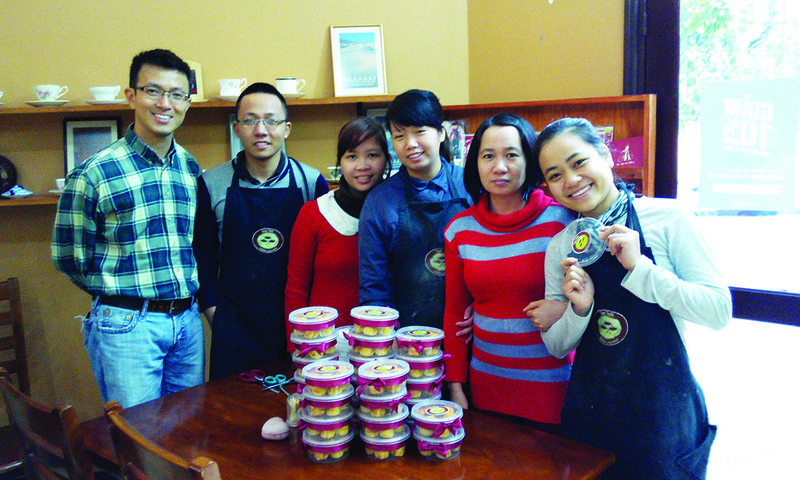 “The Vietnamese enjoy a good cup of tea and coffee in cafés. Customers must feel comfortable, that they are welcome and the space they are in is a “safe space” for them to express themselves. That is why the slogan of Tea Talk is a pun on the word expresso ‘Express your Soul’,” explains Michael. In addition, he has also launched a CoRE Community (Centre for Counseling, Research and Empowering Community) as a NGO to provide social services targeting young people. While Tea Talk provides the space and the finances, CoRE organises psycho-social and educational workshops, training, talkshows to fulfill the purpose and mission of Tea Talk – to enhance the emotional and psychological well-being of local Hanoian communities. “Currently we have a counseling room and a community library. The flagship program at CoRE is the Let’s Talk program where we train para-counselors to reach out to their friends, neighbours, family members. The slogan is – When life hurts, let us help!” exclaims Michael. In 1995, Michael visited Vietnam. The meeting of many children and disabled people begging on the street pained him. He was heartbroken and made a promise that he would return to Vietnam one day – to serve the Vietnamese. “That is the beginning of my discovery of Vietnam. When I came to Vietnam, I saw the poverty. I was very conflicted at that time to see so many children on the road begging for money. I saw a lot of people with disabilities, moving around on the floor with a trolley, pushing. I told myself that oneday I would like to come to Vietnam and serve the Vietnamese people,” he recalls. Though Vietnam’s economic reform has brought about rapid growth in its Gross Domestic Product and modernisation in the last 10 years, but there are of rising concern in public and mental health issues, particularly among young Vietnamese, according to Michael. I love my work because I have the privilege to heal people. I bring hope to one’s cry for help simply by being present with the person. In a survey of 2591 secondary school students conducted in North Vietnam in 2006, the proportion of students who have experienced emotional abuse was 39.5%, physical abuse at 47.5%, sexual abuse at 19.7% and neglect at 29.3%. “However, such issues are sensitive and not openly discussed in Vietnamese society as the discussion of emotions are associated with shame and weakness. Hence, the lack of openness to discuss such issues leads to silence, perpetuating social stigma and exclusion of victims in such predicaments,” shares Michael. However, Michael did not return to Vietnam until he and his wife – Jacqueline each had a dream which changed their lives. “One night, in my dream, I invited five Vietnamese friends to my home. But they invited their friends, and their friends invited their friends. Why are they coming to my home? I only have energy to have good friendship with five. I don’t have time for all of you, but they kept coming,” he says. And coincidentally, his wife – Jacqueline had a dream too. “I dreamt that one day I was dead and was in heaven. And in heaven, God asked me, “Do you know why Michael doesn’t go to Vietnam?” I said, “Why?” “It is because of you.” I was scared after hearing this,” she says. And when Jacqueline woke up from her dream, she realised that she should not be deterring Michael’s wish to serve the Vietnamese. That’s when Jacqueline made a decision, she supported Michael’s aspiration, and together with their 2-year-old daughter, they left for Vietnam in 2001. However, the decision to relocate to Vietnam was tough. “Even Vietnamese friends thought that I was crazy and that I was just joking about relocating to Hanoi. Not everyone were supportive of my move,” says Michael. But he found courage in God. “The courage come from first defining my core beliefs, my purpose and mission in life. To me, its simple – My life is God’s gift to me. What I made of my life is my gift to God,” he shares. His motto in life is to “Dream and make those dream come through.” Having the privilege to heal people pain and to bring hope to one’s cry is Michael biggest dream. “I dreamt of being a social worker and I am now a social worker. I dreamt of having a cafe where young people can find hope, experience love, and garner faith to live life to their fullest. Now, Tea Talk is a reality and CoRE is functioning as a channel of hope to many young loves,” he says. Michaels believes that everyone needs a listening ear, and sometimes, by simply listening to them, it can makes a difference in their life. “We all need a listening year. Someone who listens and not pass judgement or advice. I learn that by simply listening actively to others, lives starts to change for the better for many of these people. Start with the simple things. Let the impact take momentum,” he asserts. CoRE (Center for Counseling, Research & Empowering Community) launched by Michael aspires to help young people discover who they are and what they are meant to do, and to inspire them to pursue their dreams and not to fear failure. It also trains and equips young Vietnamese with professional social work and counselling skills who will in turn help other underprivileged Vietnamese. One of the beneficiary of CoRE’s social work is Ms. Hien. Ms. Hien was living in trauma and depression until one day, a CoRE counsellor knocked on the door of her empty soul. Her parents were separated and she had struggled on with her life alone. To make matters worse, she was sexually abused by her stepfather. She was married with two children, but she received little financial and emotional support from her husband and his family. She was apathetic and unable to communicate with people normally. CoRE showed her the way out of the pain. The counsellor empathized with my pain and persuaded me to seek medical help. CoRE took care of my children’s needs and also brought job opportunities to support for her husband and family. 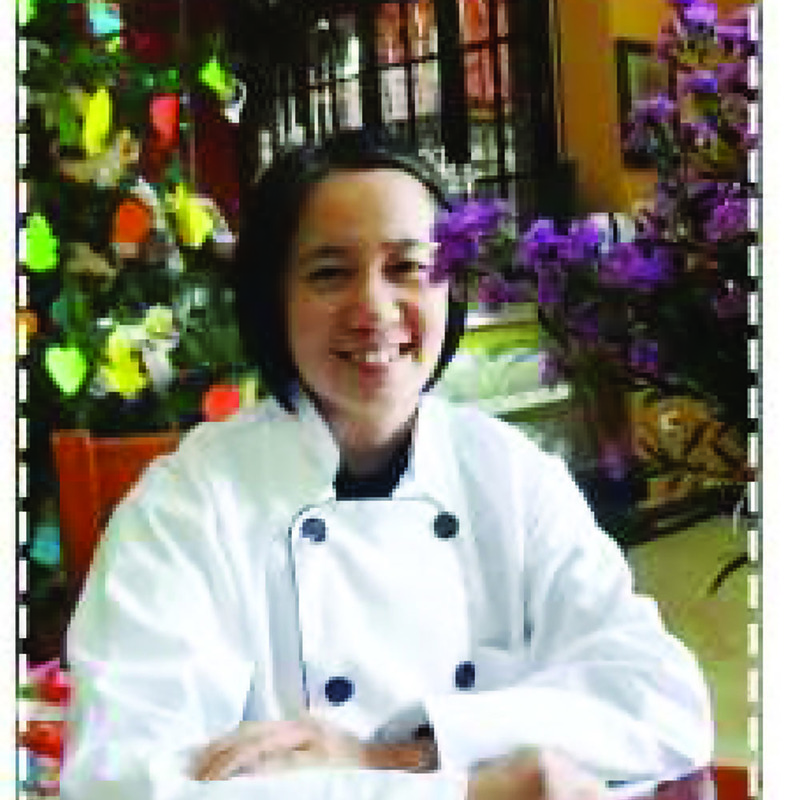 Presently, Ms Hien works at Tea Talk Cafe as a cook. “My encounter with CoRE was a short half-year. Yet, it felt like a long journey. I’m a stronger woman now. CoRE has helped me to find my smile again,” she says. Ms Hien truly wish for Michael and CoRE’s dream to come true – to shower whoever in need of support with great care and counsel.